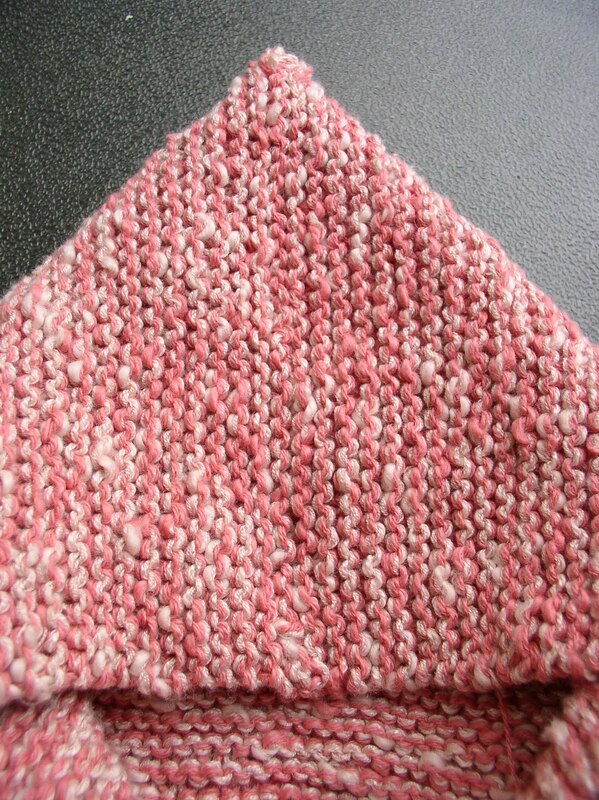 Lorrie knits and sews: I'm Back! In addition to life getting in the way, my computer had a nervous breakdown. It was only 1 1/2 years old, but it appears that the mother board went crazy. We'd been having trouble getting online after rebooting. Then the keyboard started recording gibberish, I lost my sound, the computer started shutting down on its own. Two days later and much work by my live-in computer expert and things are much better. 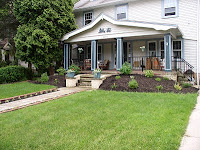 The front yard looks good and will look better when plants mature. The bushes on the upper level are blooming. 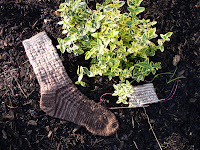 Intersector Socks in progress recline by the Wintercreeper bush. This bush will top out at 2 feet high. These socks are now finished, in spite of pattern problems. 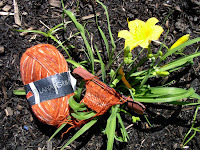 The orange socks are from a Vintage pattern, copyright 1944. 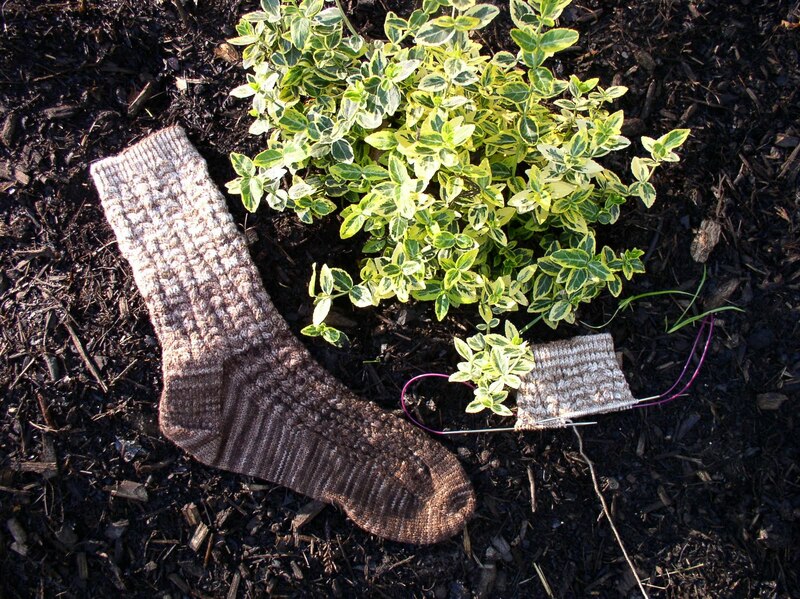 SKA has a vintage sock challenge this month. 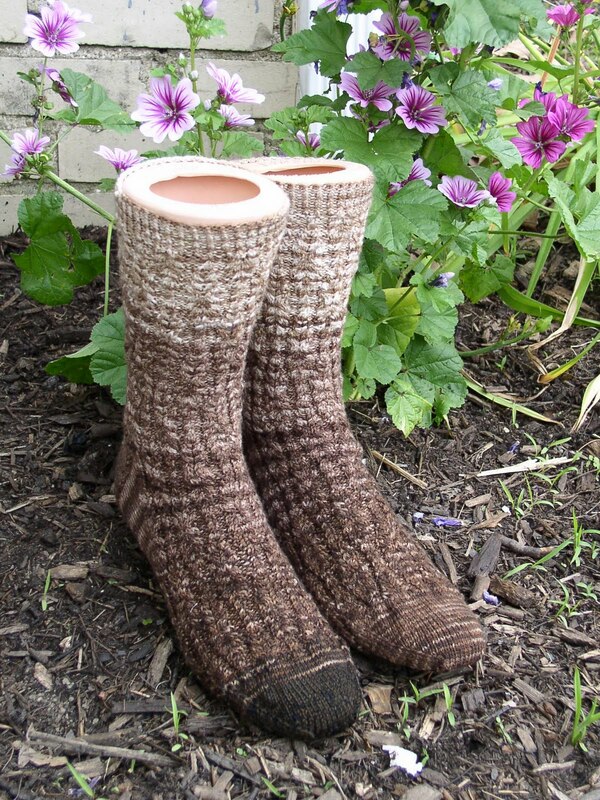 I'm ready for something easy after the "bark" socks. 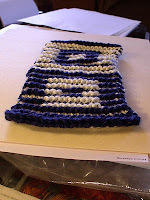 Cabled clocks translated from an old pattern still makes for easy knitting. 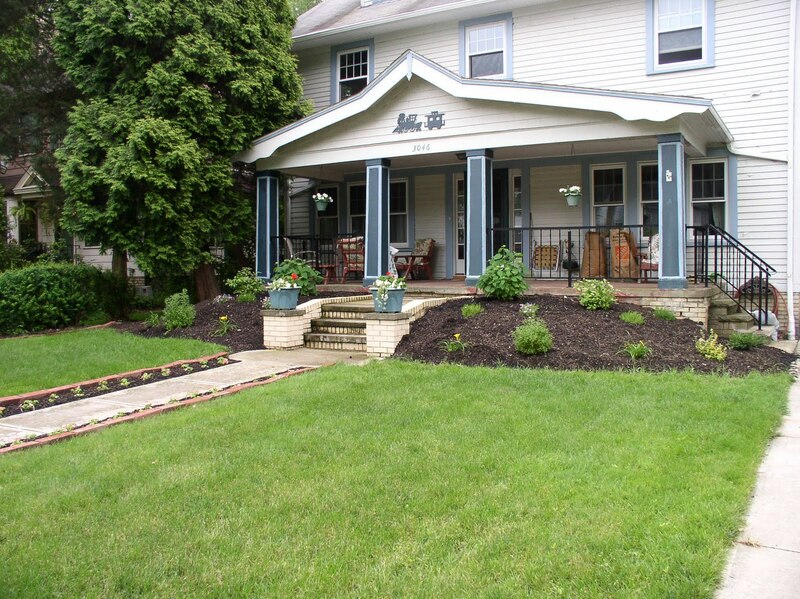 The flowers are Stella D"Oro day lilies. Girls are popular this year! Two neighbors had girls recently. 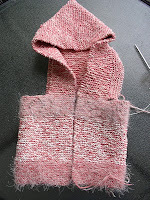 I had two girl sweaters put aside, but I need one more, and I need to finish it in time to give before July 1, when the mother leaves town. The pattern is Elizabeth Zimmermann's Tomten Jacket, using cone yarn and a selection of odd balls. 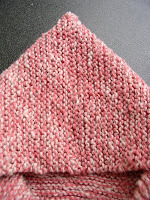 I'm using pattern instructions from both Knitting Without Tears and Knitting Workshop. 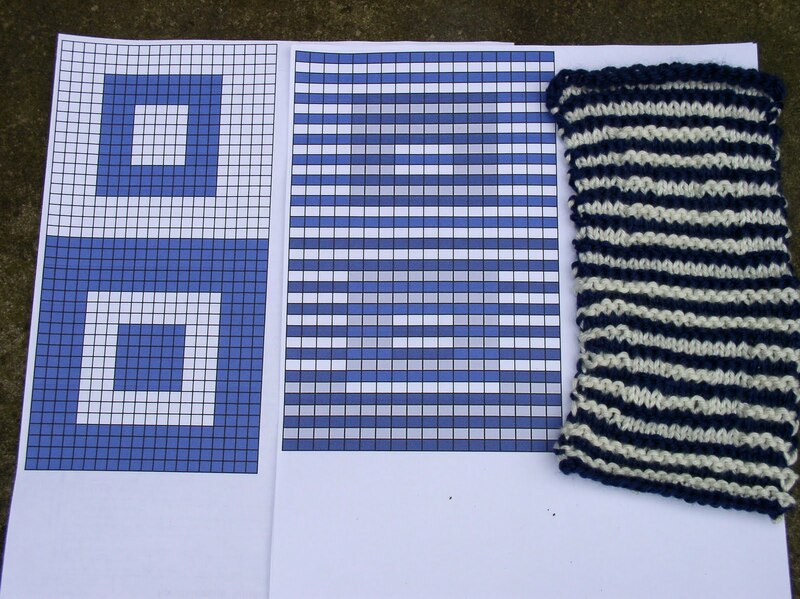 Knitting Workshop has great instructions and a diagram for grafting garter stitch. Find the join. 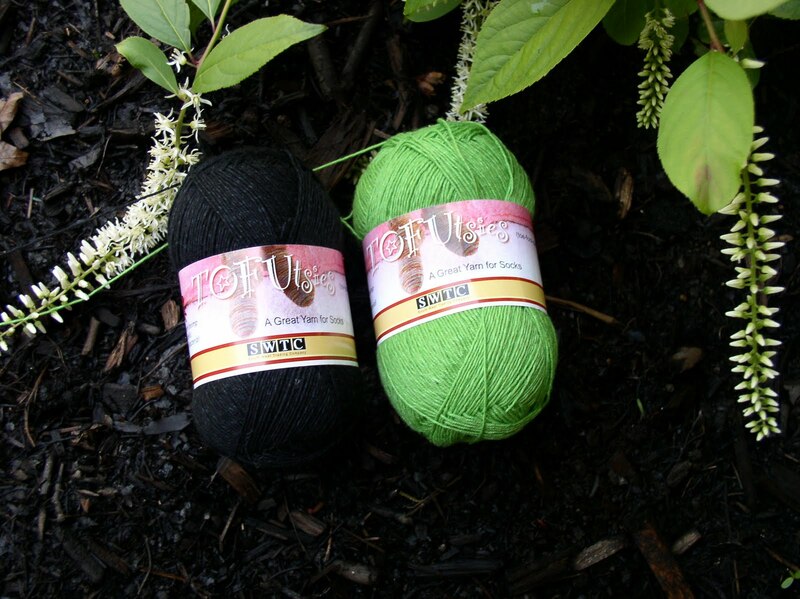 Time to knit sleeves. Current secret project is some socks for South West Trading Company in their new solid TOFUtsies. The flowers are part of my "Little Henry" Sweetspire bush. 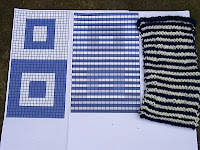 I tried illusion design again, following instructions by Woolly Thoughts. The idea was to start simple, and maybe it could be a class sample. It worked! 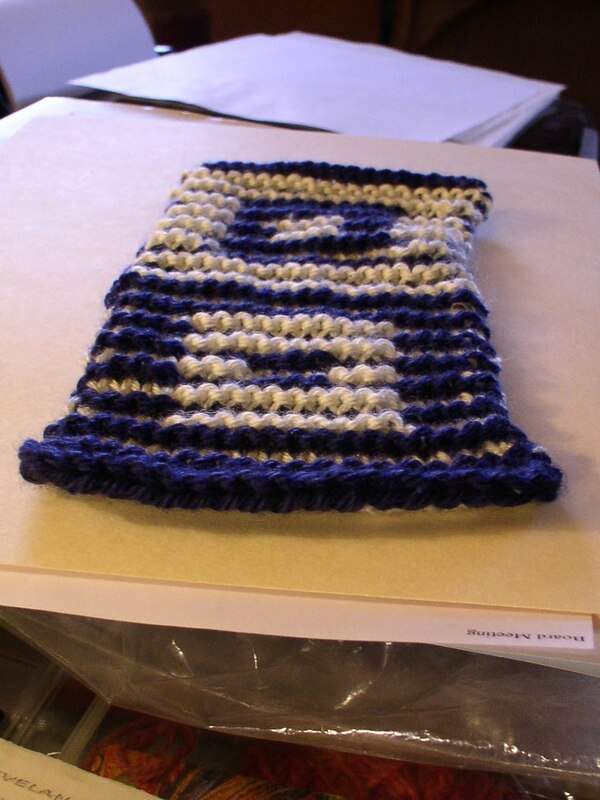 Something like this could also be a scarf. Sewing business has been crazy. Prom dress alterations are finished, but bridesmaid dresses and wedding dresses are still rolling in and out. 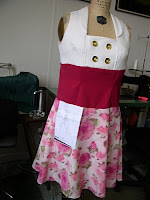 I made a dress for a customer's daughter, who designed the dress. Here's the sketch. 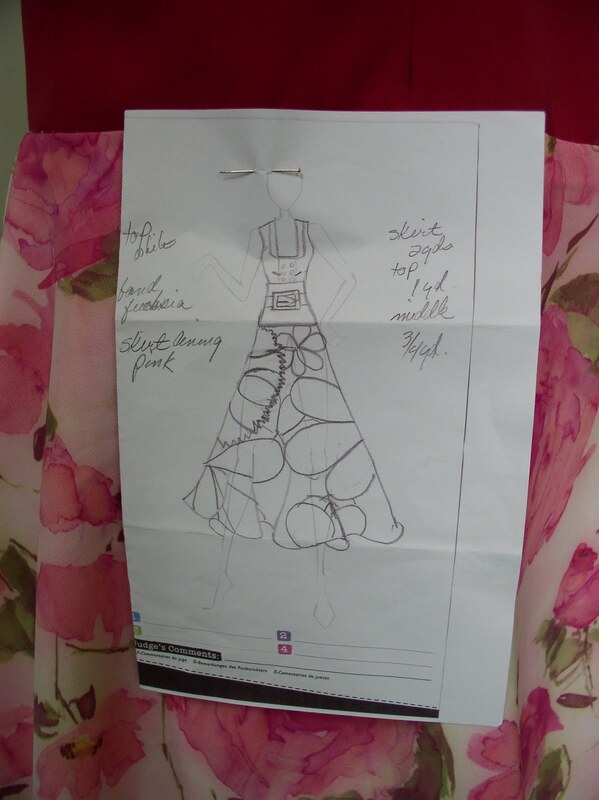 The proportions changed from sketch to dress, but the eighth grade designer is happy. 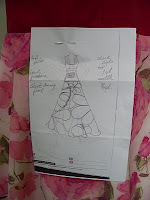 The photo sure shows the tilt of the dress form. Many years ago, it had a collision with the floor, and has walked with a limp ever since. The annual Knitters Day at the ball park was in late May this year. The Cleveland Indians lost, but it was a beautiful warm spring night and we all had a great time. 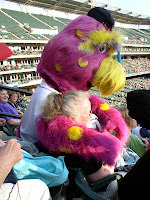 The silly guy in the photo is our mascot Slider. I guess most mascots are silly, but we love them.